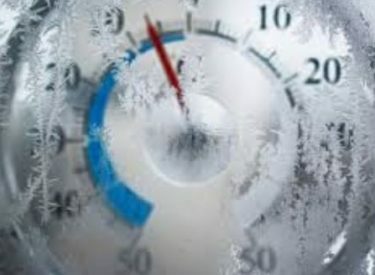 JOHNSON CITY, Kan. (AP) — Authorities have identified a 52-year-old man as the person who died of hypothermia over the weekend in western Kansas as temperatures dropped well below zero. The Hutchinson News reports that funeral officials at Dykes Memorial Chapel in Walsh, Colorado, identified the man as Kyle Edward Christiansen. The coroner, Dr. Hubert Peterson, said Christiansen died from hypothermia. The temperature was minus 11 to minus 16 degrees outside where his body was found, and the wind chill was minus 30. Peterson believes Christiansen died between midnight and noon on Sunday after being outside for several hours. He says the precise time of death was difficult to determine because Christiansen’s body was frozen solid.